If you also believe in Maa Durga and want to draw Maa Durga face by yourself then you will definitely love our today's tutorial. 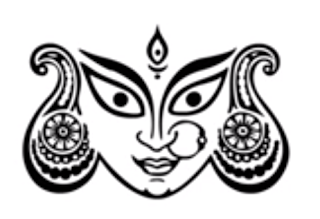 English tutorial we are going to instruct you on “how to draw Maa Durga face step by step?" Meaning of Durga is "the inaccessible" or "the invincible". In Hindu pantheon, Maa Durga is one of the major forms of goddess Shakti. She is the warrior goddess who destroys the evil forces for good. Durga is derived from the word “Durg” that means something very difficult to defeat and Durga means beyond the feet. There are several characteristics written for Maa Durga and the major 9 titles given to her are Shailaputri, Brahmacharini, Chandraghanta, Kushmanda, Skandamata, Katyayani, Kaalratri, Mahagauri, and Siddhidatri. Furthermore, people worship Maa Durga by taking her 108 names. The order of 108 names of Maa Durga is properly known as "Ashtottarshat Namavali of Goddess Durga". If you also want to draw Maa Durga Face for worshipping or keeping in your House or temple then the below-given tutorial will definitely help you out. To get the Video started, you need to hit on the link. After every spring and autumn harvests, people worship Maa Durga for nine days. These 9 days are known as "Navratri". In Navratri, people Welcomes Maa Durga in their house in the form of Epitome. Many people create Maa Durga Statues themselves and many draw Maa Durga Image on papers. The motive of keeping the picture, the statue at home for 09 days is to worship the Goddess. The above-given tutorial on “How to Draw Maa Durga Face” will help you in completing your drawing easily. After watching the video if you find it useful then please hit the like button. If you want to share your views then write to us by using Below-Given Comment Box. Furthermore, to get more relatable tutorials, you can visit or channel regularly. To get all the updates about new tutorials directly in your mailbox then you may subscribe to our free mail service. Thank You!! !